Aaron makes Mama Bee smile with her birthday snowball. 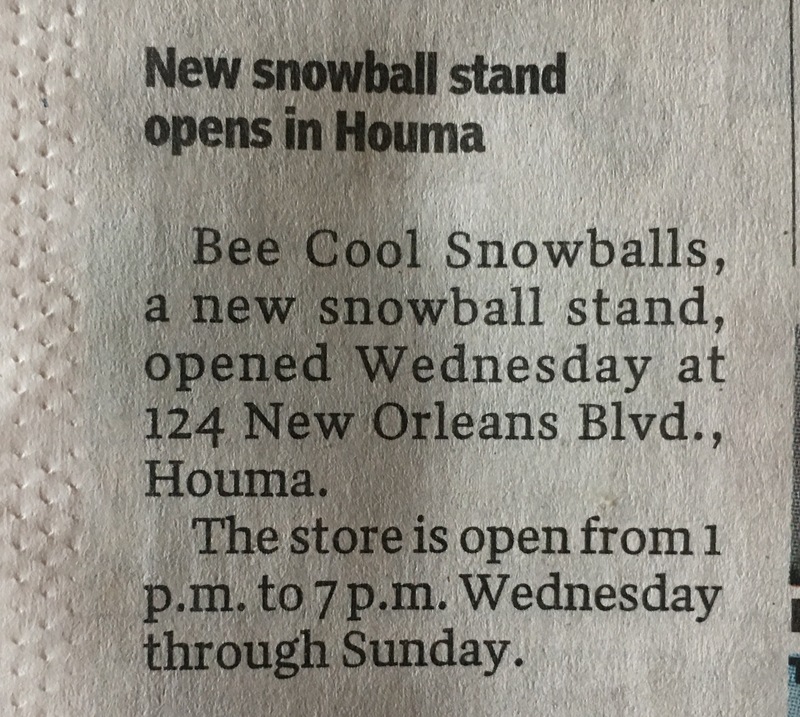 Amidst rain and hale, Bee Cool Snowballs opened for business on May 3, 2017. We opened in our Bee Cool 2 Geaux trailer while waiting for our Occupancy License from Terrebonne Parish. 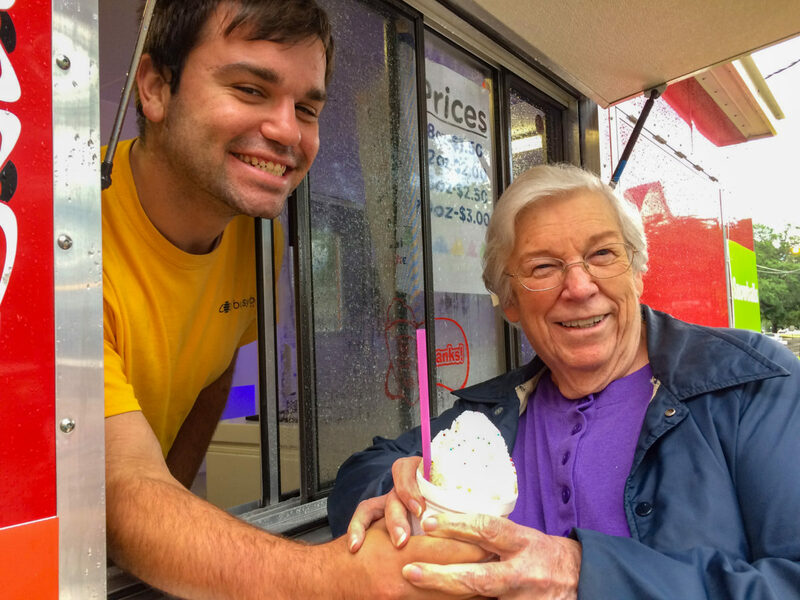 Our Monthly Special snowball for May will be the Birthday Cake Snowball made with all natural vanilla and almond extract, topped with French Vanilla icing and sprinkles. May is a month of birthdays for us. Starting with Mamma Bee’s birthday May 3rd and ending with Petite Bee’s and eBee3’s Birthdays May 30 and 31. Two of Busy Bee Clinic’s Whiz Kids, William and Riley, also celebrate May birthdays. One dollar from each Birthday Cake Snowball will go to Busy Bee Clinic’s First Lego League team. 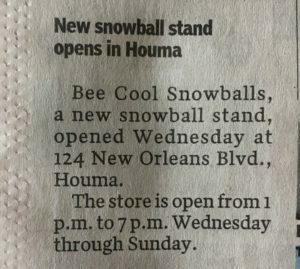 The Houma Courier had a nice shot out for us.